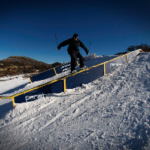 A selection of the world’s best Slopestyle and Halfpipe competitors are ramping up for the park events of the Volkl NZ Freeski Open 2009, scheduled for Tuesday and Wednesday at Cardrona Alpine Resort. Twenty of the world’s best International invited freeskiers will set the benchmark giving the 140 amateur and professional athletes the chance to prove their worth on the world stage. Entrants will fight through qualifiers for a spot in the finals and a share of the $35,000 prize pool. Wanaka’s Jossi Wells, who is regarded as one of the world’s very best freeskiers leads the Kiwi’s, while international invited riders including Russ Henshaw, of Australia, Mike Riddle, of Canada, Tom Wallish, of USA, Henrick Harlaut, of Sweden and Xavier Bertoni, of France are amongst some of the top riders up to give Wells some strong competition. Meanwhile, The Big Mountain phase of The Volkl NZ Freeski Open today concluded with top finishers at The North Face Big Mountain Finals taken by helicopter to Wanaka Backcountry for The North Face Sessions, a heli-accessed expression session presented by Southern Lakes Heli-ski. 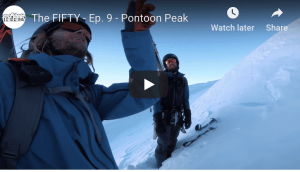 Four Kiwi freeriders including Sam Smoothy, Tom Dunbar and Janina Kuzma were joined by internationals Jérémie Heitz, of Switzerland and Rebecka Eriksson, of Sweden, and flown to exclusive big mountain terrain accessed only by Southern Lakes Heli-Ski. 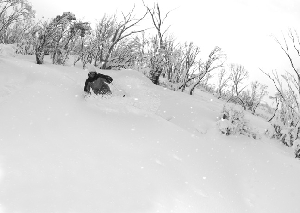 The challenge for the freeriders was to find skiable lines in a non-competitive environment. 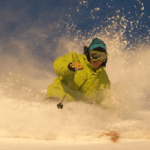 A welcomed change after the pressure of The North Face Big Mountain Finals a few days earlier. The crew were accompanied by two photographers, a film crew and three qualified and experienced heli-ski guides to help ensure safety at all times. The action will be filmed and featured during a public screening of the Volkl NZ Freeski Open in Wanaka this Thursday. Establishing itself as the biggest event of its kind in the southern hemisphere and attracting athletes from across the globe, the Volkl NZ Freeski Open has now been officially recognised on the international freeski World Tour alongside the world’s biggest freeski events. 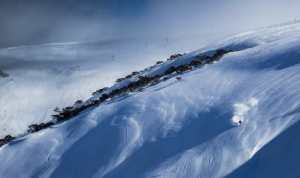 The North Face Big Mountain is the first-ever Southern Hemisphere Freeride World Qualifier Event, while the Association of Freeskiing Professionals (AFP) is including the Slopestyle and Halfpipe as an AFP points event. The Volkl NZ Freeski Open is crucial to the development of freeskiing in NZ. Being held on our home soil gives both developing and elite athletes the opportunity to compete at the highest level and get a taste of what it’s like big time! 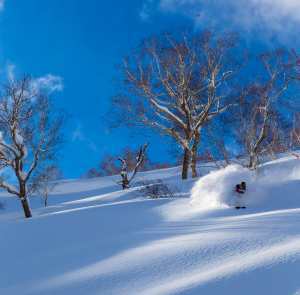 Our New Zealand freeskiers will be competing head to head with the top international skiers at this event. The Volkl NZ Freeski Open is a collaborative effort between Snowsports New Zealand (SSNZ) and the Freeski Association New Zealand (FSANZ), organisations that share the objective of promoting awareness and participation of snow sports and freeskiing in New Zealand and the Southern Hemisphere. 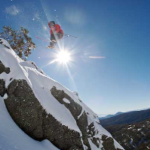 Presenting Sponsor for The North Face Sessions Southern Lakes Heli-Ski has over 20 years experience in the industry. We operate on several mountain ranges, with the most exclusive access to over 5,000 square kilometres of powder, we can access the most terrain of any company in the Southern Lakes region. Out here it’s just you and the elements, so you need to be in good hands. With a ratio of one guide per five guests, you won’t feel overcrowded, and your group will be organised according to ability, ensuring you feel comfortable yet challenged enough to get the most from your day. We have flexibility and diversity of options when deciding upon the best possible location for you to get the most out of your heliskiing experience.